Today's product of the week is Home Made rocky road! 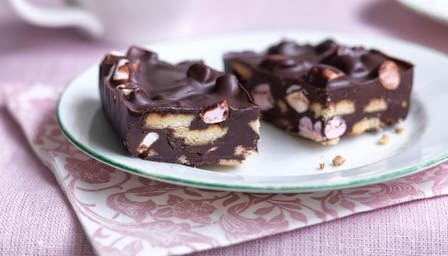 I love rocky road especially in the winter sat down in the warm with a hot chocolate and piece of rocky road what's not to love! Now I know not everyone has time to make it homemade so I went on the hunt for the best shop brought rocky road! I went into 3 different shops to buy rocky road and here are my favourites! 1. 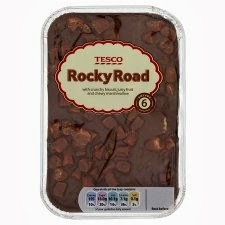 Tesco Rocky Road £1.30 this tastes just like homemade rocky road but better! You get quite a lot for your money but in my house they didn't last long! 2. 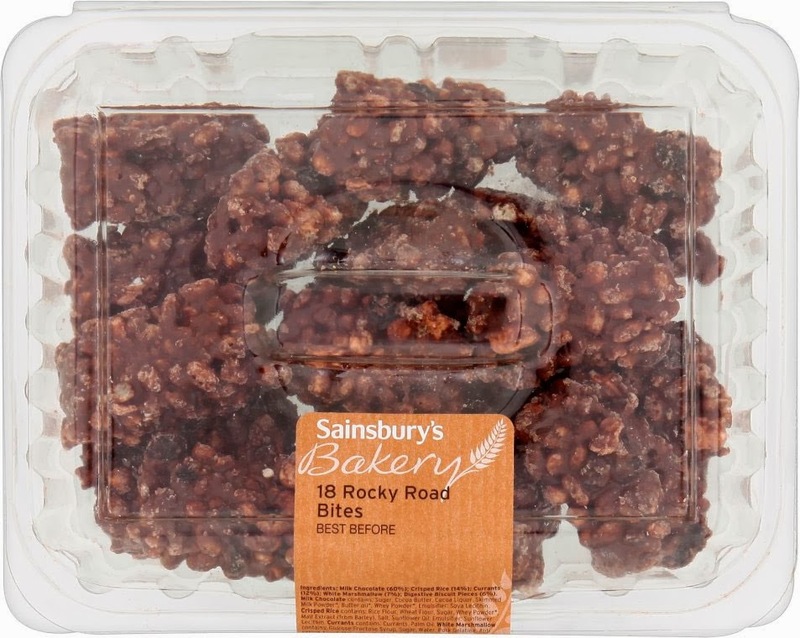 The next shop I went into was Sainsbury's but it took me forever to find the rocky road I even asked the lady where it was but she didn't know! I was about to give up when another customer over heard and pointed me in the right direction! I must say it was worth the agro as they are delicious! you can get them for £1.55 each or 2 packs for £2.50 so of course I went for the 2 packs! haha! 3. 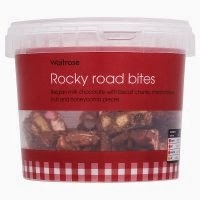 Last but not least was the Waitrose Rocky Road Bite for £2.69 or 2 for £4 this are quite a lot more expensive for what they are although they are really good quality and tasted lovely! So there you have it my product of the week! have you tried any of these rocky roads? if you have what was your favourite?